ChipSkip primes the natural nail surface to increase the bond with your nail lacquer, prevents chipping on fingernails and toenails. 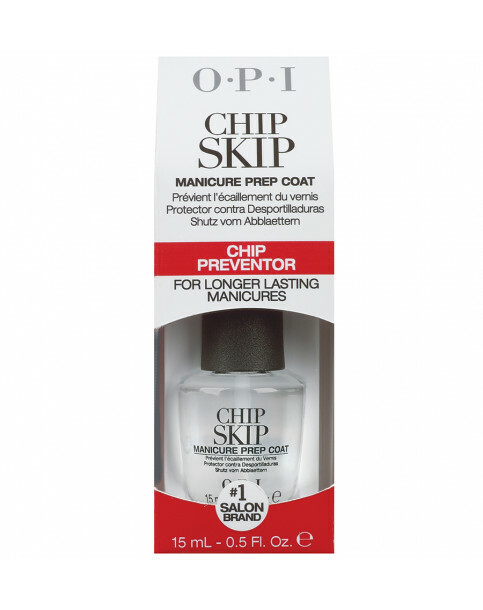 Just one coat of patented OPI Chip Skip nail varnish chip preventor will prime your nails surface so that nail varnish adheres better and remains chip free. It will keep your manicure or pedicure looking beautifully fresh for longer. Start with clean your bare nails. Apply one coat of Chip Skip prior to a base coat, treatment or nail lacquer. Follow with 2 coats of your favourite OPI nail lacquer. Finish with one coat of OPI top coat. OPI Chip Skip is rated 5.0 out of 5 by 1.